Shackelford is a Graduate Assistant Director at the Howe Center for Writing Excellence (HCWE), where part of his responsibilities include managing the Center’s pilot peer review facilitation program. The way the peer review program works is this: Faculty members can request that a writing consultant from the HCWE visit their class to facilitate peer review. On the day of the peer review, the writing consultant comes to the class, gives a crash course to students on how to do good peer review, and then helps facilitate the actual peer review activity. Students exchange papers, sometimes with more than one person, and give each other feedback tailored to that assignment. Overall, the faculty and consultant work together to incorporate the peer review into the scaffold of an assignment at the faculty member’s desired time. Something that isn’t always easy to do, Erica Edwards reminds me. Edwards is an Associate Professor in the Political Science Department. “As an instructor, I think figuring out which assignment you want to focus on and bring in the help for is challenging,” she says with a laugh. For the past two semesters, she has partnered with Shackelford and Patel to incorporate peer review into a 200-level Political Science course she’s teaching. As I sat down to interview Shackelford, Patel, and Edwards about their experiences with the peer review facilitation program, two things became clear: Dynamic peer review practice is benefiting Miami’s students, and this peer review program is transforming student and teacher attitudes towards giving feedback on writing. What does good peer review look like? This is a question that Shackelford and Patel have been asking. They stress that what they’re doing with peer review is entirely new. In other words, this isn’t your father’s peer review. To help teach students how to provide each other with good feedback, they’re taking best practices from writing center peer consultations and teaching other students how to apply the same strategies when working with their peers in a classroom setting. Shackelford and Edwards also see peer review benefiting students in the long run. 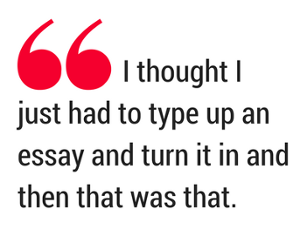 The practice exemplifies the belief that writing is inherently social. In other words, every writer needs a reader. 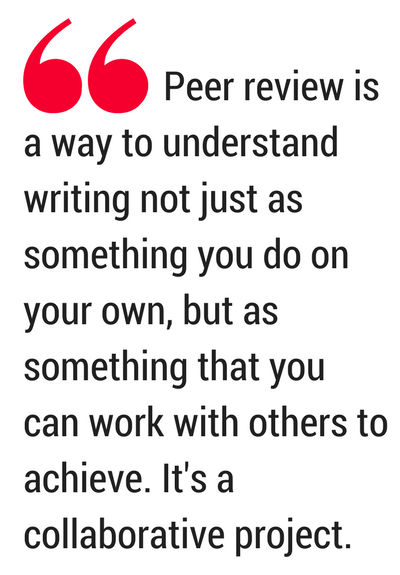 The peer review facilitation program is also transforming student and teacher perceptions about how writing works. Part of that is breaking down assumptions about how good peer review actually happens. Patel is currently an undergraduate student herself. She believes student attitudes towards peer review have sometimes been shaped by prior experiences that were unproductive or unhelpful. This kind of flexibility has become important for Shackelford and the consultants who work in the peer review facilitation program. Every class they visit has different needs. Shackelford, Patel, and Edwards all have plans to continue participating in the peer review facilitation program. Edwards is also collaborating with Shackelford to develop a method of conducting peer review in an online course she’s teaching. “There will be a peer review element to the online course,” she explains, “but obviously it will look a little bit different.” Together, they’re pushing the boundaries of what peer review can look like, even toying around with the idea of making videos that could be used by other Miami faculty who include writing in their online courses. The Howe Center for Writing Excellence is currently piloting in-class peer review assistance for faculty members who have completed the Howe Faculty Writing Fellows Program. 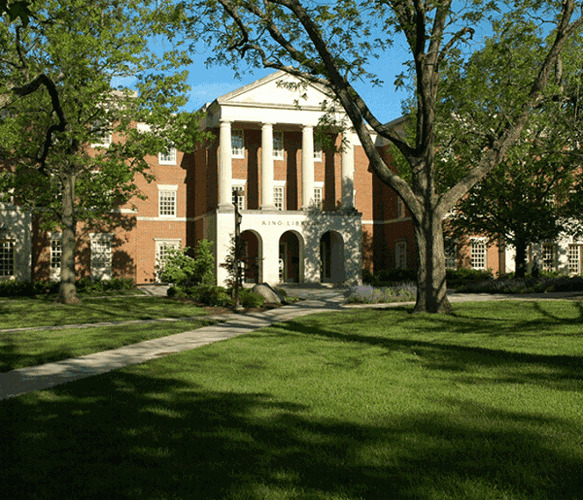 Learn more about the Writing Fellows Program or contact Dr. Elizabeth Wardle (wardleea@MiamiOH.edu), the HCWE Director, for more information.